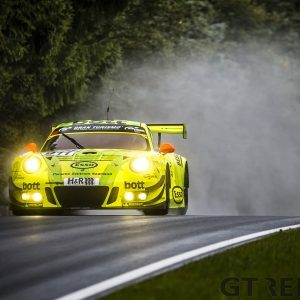 Welcome to race day at the 24 Hours of the Nürburgring. It’s going to be a long and hot twice around the clock this year, with temperatures expected to hit the higher 20s. Scuderia Cameron Glickenhaus will start the race from pole position today after Jeff Westphal surprised everyone by beating the big works teams in the Top 30 Shoot Out. The race will start at 15:30 CET today. 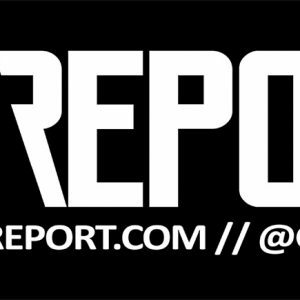 We will regularly update this page with reports and photos, so keep an eye on our social media channels to not miss out on any updates. Click HERE to go to the live blog below. 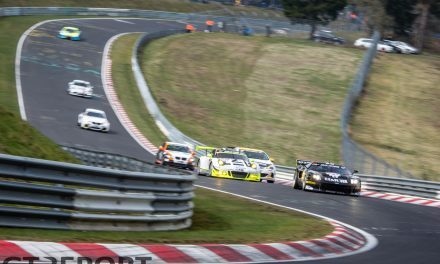 With the pole winning number 704 Traum Motorsport SCG-003 leading what seemed like a never ending field of cars onto the pit straight, the lights went green at 3.30pm and the 2017 ADAC Nurburgring 24hrs was underway. 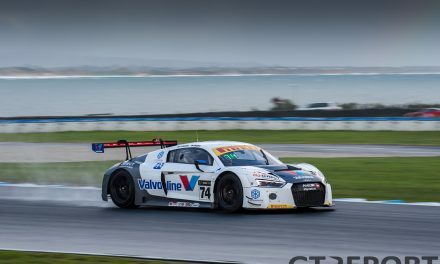 Immediately the polesitter in the hands of Jeff Westphal jumped out to a handy buffer and was chased by René Rast in the number 9 WRT Audi R8 LMS GT3. Rast was succcesful in getting past into the lead near the end of the second lap in traffic. 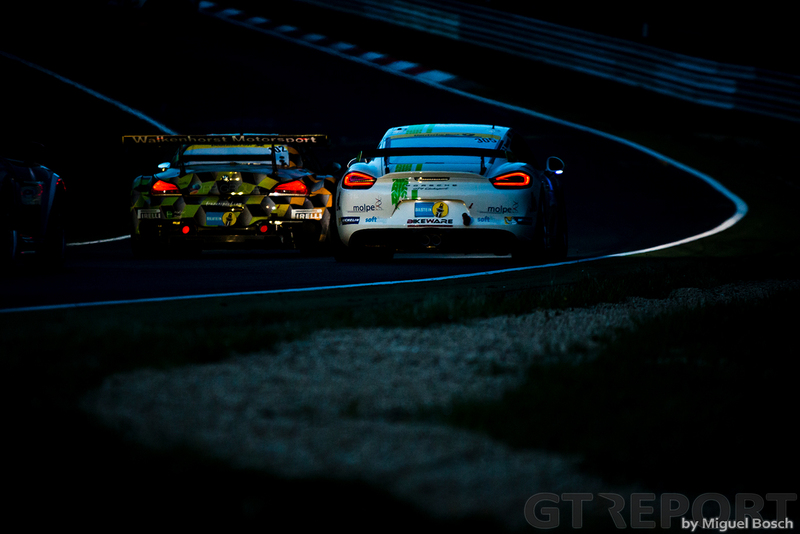 The third lap saw the top three cars fighting through increasing traffic and when Rast in the number 9 Audi was baulked leaving a slow zone, Westphal took full advantage and stormed around him back into the lead. Westphal pitted ten minutes into the second hour handing the lead to the number 98 Rowe Racing BMW of Markus Palttala. Elsewhere the number 36 Abt Bentley Continental GT3 suffered a driveshaft failure but was able to make it back to the pits to be fixed. Shortly afterwards the sister car number 38 went into the gravel but rejoined. The third hour saw the number 11 Konrad Lamborghini Huracán GT3 slowed at Tiergarten with flames pouring from the back of the car. 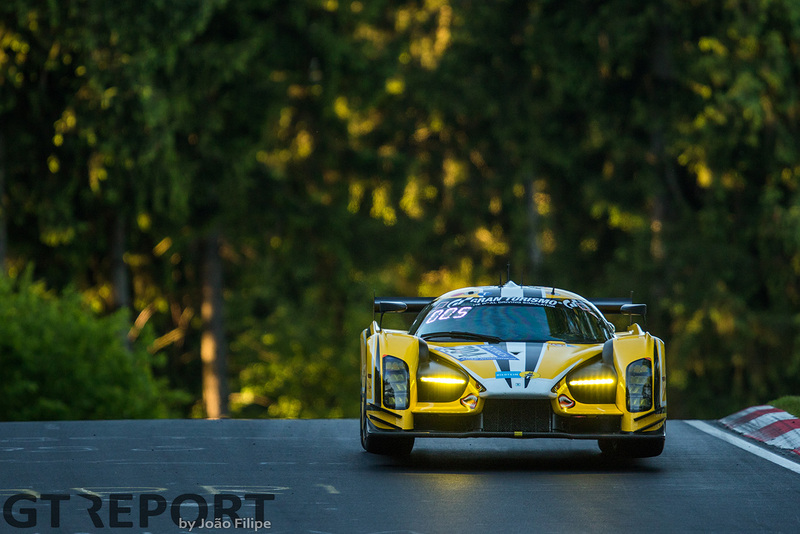 The polesitting number 704 SCG003c was pushed into the garage with damage to the rear right bodywork but after ten minutes of frantic work from the Traum Motorsport crew, the car was back out on track again to the delight of Jim Glickenhaus. As the race started to get into some semblance of rhythm, the number 29 Land Audi kept the lead whilst behind it the number 44 Falken Motorsports Porsche 911 GT3R in the hands of Jörg Bergmeister crashed just before the Karrussell. 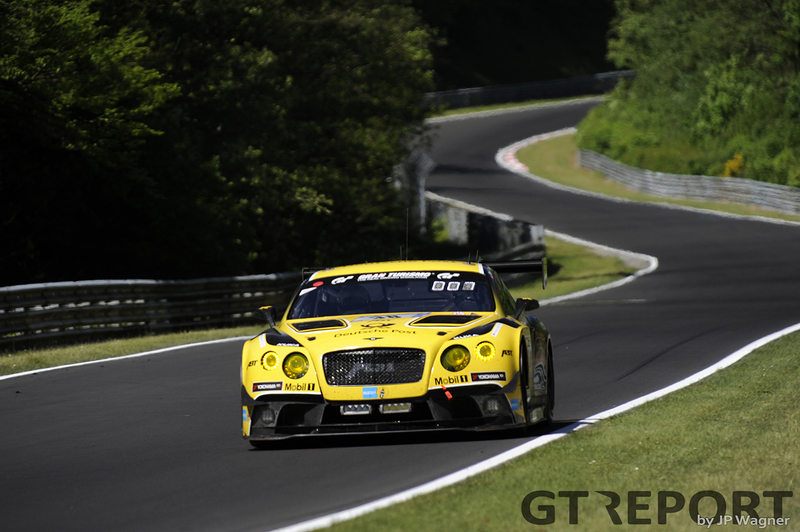 It was a scary ride for the number 38 Abt Bentley Continental GT3 that went straight on at the first corner without stopping sustained damage to the front of the car, it managed to get moving again but was withdrawn later due to that damage. Late in the sixth hour, the number 5 Phoenix Racing Audi R8 LMS GT3 crashed whilst negotiating traffic, the car got back on track with a left rear puncture, spitting the tire’s carcass off onto the side of the track. A minor miracle then occurred when the car emerged from a service area further in the lap with a intact rear left tire enabling the car to make it back to the pits and to continue in the race. Fans of the Kissling Motorsport Opel Manta will be happy to see the foxtail back out on track, the crew managing to get the car running after a nasty impact to the rear-end of the car. 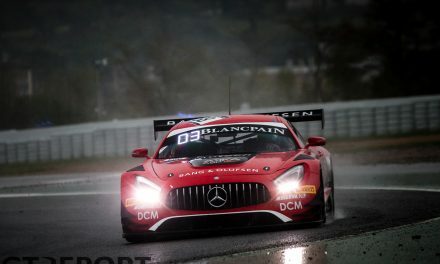 The same unfortunately could not be said for the number 47 HTP Motorsport Mercedes AMG GT3 which has been withdrawn to due damage from an earlier accident. And as all this happened the sun slipped down and beckoned in the darkness of the night. 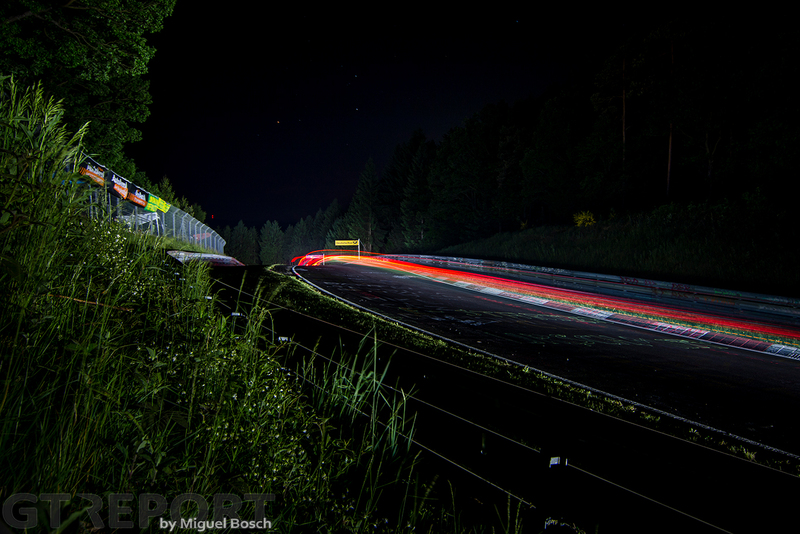 Even well after halfway distance Audi is still leading the 24 Hours of the Nürburgring. 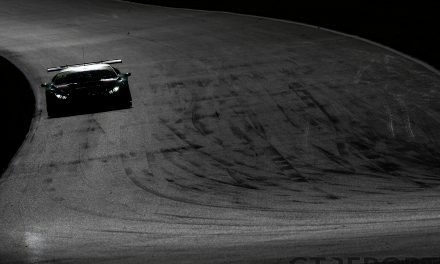 The number 29 Land Motorsport Audi R8 LMS GT3 driven by Markus Winkelhock is showing no signs of slowing down and is leading the number 9 WRT Audi with René Rast onboard by over a minute and a half. Earlier during the night Kelvin van der Linde set the fastest lap of the race, showing Land Audi’s force. After the Audis dominated the evening, in the night BMW has joined the party. The number 43 BMW Team Schnitzer has pushed on and is driving in third place with Markus Palttala behind the wheel, followed by Christopher Haase in the second Land Audi, trailing the BMW by only seconds. As the sun rose to farewell the evening and welcome in the new day up front the top five cars traded the lead as each other stopped in the pits for service. The number 9 WRT Audi, number 43 Schnitzer BMW, number 29 Land Motorsport Audi, number 98 Rowe BMW and number 33 Falken BMW took turns to momentarily lead the race as each others pit strategy played out. 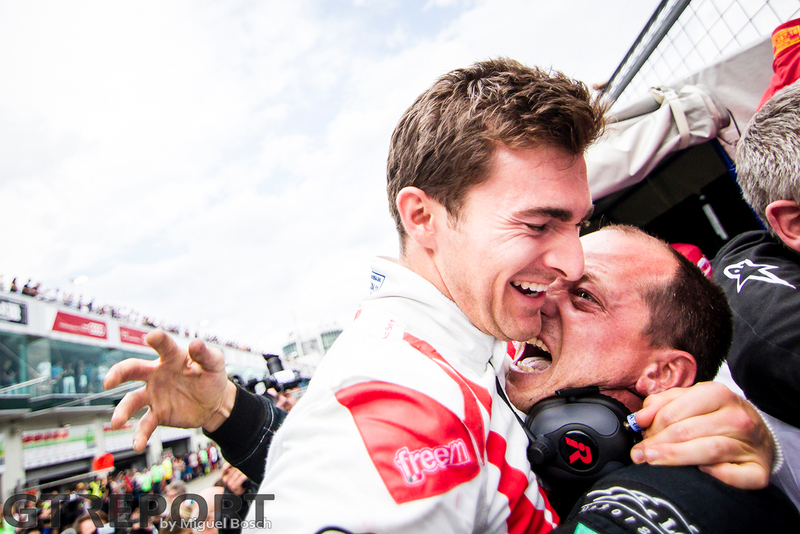 A wild ride for the number 173 Audi RS3 LMS TCR entry after a coming together with the number 43 Schnitzer BMW M6 GT3 of António Félix da Costa resulted in the Audi airborne and on its roof. Whilst the Audi left the scene on a tow truck, the BMW didn’t escape unscathed limping back to the pits with a tire puncture. Thankfully the driver of the Audi TCR car appeared to be uninjured. The number 122 Kissling Motorsport Manta took another hit, this time from the number 22 Wochenspiegel Ferrari 488 GT3, thankfully neither car sustained major damage and the fan favourite Opel and its distinctive roof ornament continued on to the pits with a pat on the roof from the marshal who helped rescue it from the gravel. 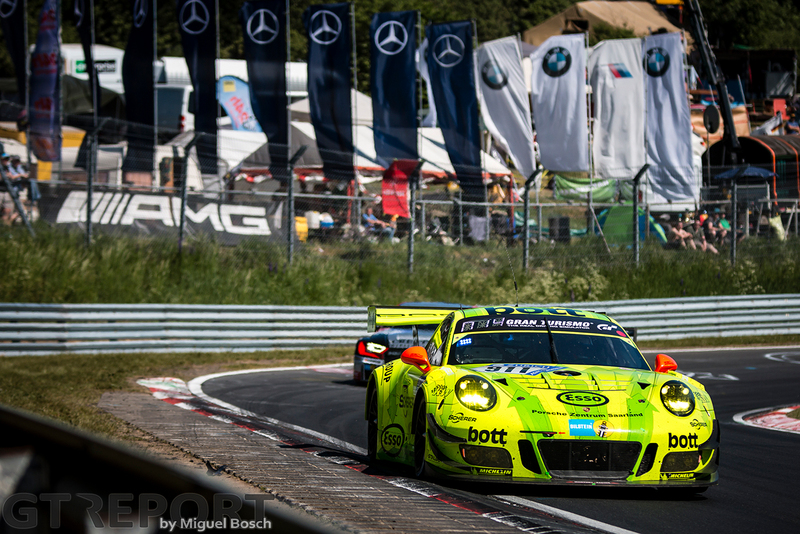 Drama strikes with the end in sight for Land Motorsport. Shortly after a pit stop, a sensor on the Audi R8 LMS GT3 went down. Luckily for the number 29 car it was still circling the Grand Prix course when disaster struck. Kelvin Van der Linde lost the lead, but remains on the lead lap with less than a minute and a half to the new leader: The number 9 WRT Audi with René Rast driving. Both cars are driving at a similar pace. 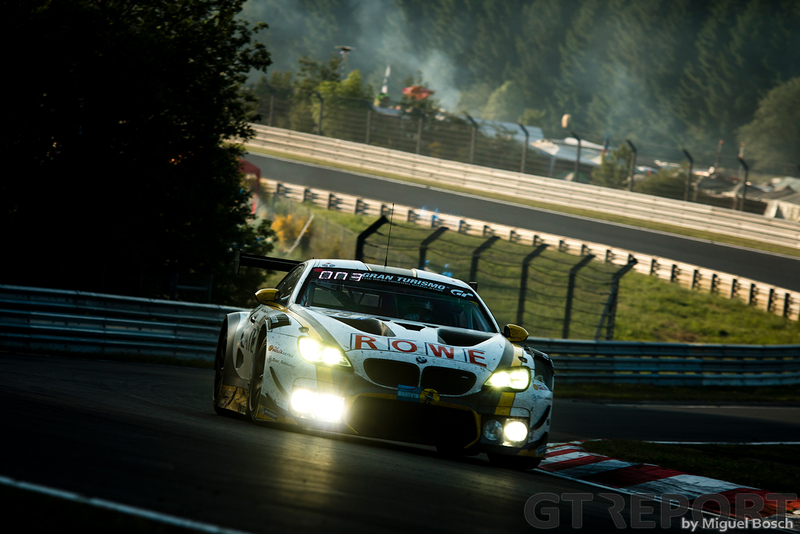 Markus Palttala in the Rowe Racing BMW M6 GT3 is still in third, running 2:45 minutes seconds behind Rast. 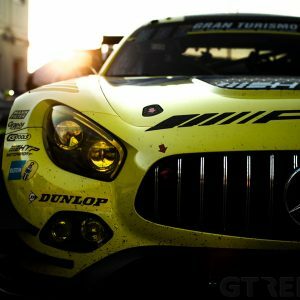 For Traum Motorsport the dream is over. The SCG003c that started from pole position and was running so strong on Saturday, had a massive slide at the exit of Flugplatz, ending with a bang in the wall.